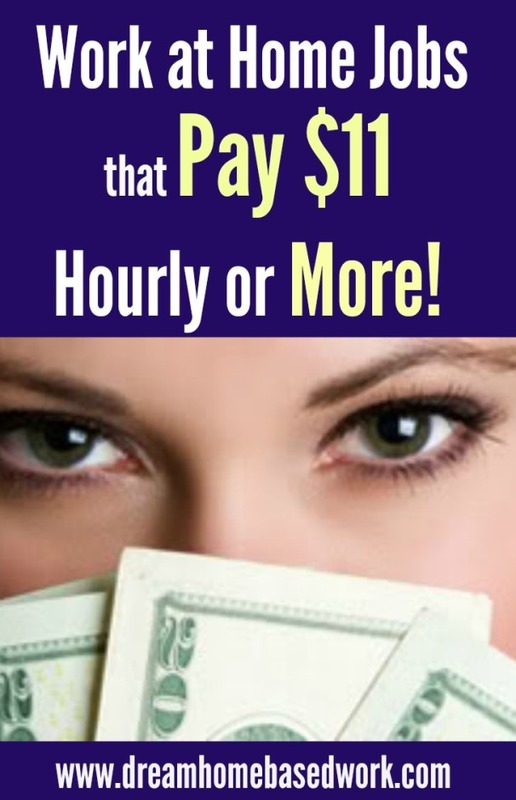 Home » Latest from the Blog » Work from Home » Work at Home Jobs that Pays $11 Per Hour or More! If you are interested in working from home for a company that pays above the minimum wage, this is for you. I have shared several companies that will pay you at least $11 per hour or more when you work for them. While I cannot guarantee you will get hired, at least you can have the confidence that these work at home jobs exist and are not too good to be true. American Express – American Express hires work at home Customer Service Agents in select states within the United States. You must work a fixed schedule of 40 hours per week. They pay around $15 per hour on average but top performers can earn up to $28 per hour. When you visit the careers page, search the keyword “Virtual”. ABC Financial – More details – This company hires people to handle customer service calls for their gym members and health club staff. ABC Financial will provide computer equipment but you must have high-speed internet. The pay is around $11.82 per hour and jobs are only available to residents in the following states: Arkansas, Georgia, Florida, Texas, Maine, Utah, and Washington. Appen – More details – This is a global company that hires Social Media Evaluators to work from home. No experience is necessary. The starting pay rate for this position is $13+ per hour after training is completed. Blooms Today – This company hires seasonal work at home agents to handle flower orders by phone. As an independent contractor, you can earn anywhere between $15-$24 per hour including commissions. They also offer paid training.Guaranteed! Brighten Communications – This company offers telemarketing work from home jobs to US residents only. The starting pay rate is around $12 per hour but you could possibly make up to $18 per hour. You must have a reliable computer, landline phone and printer or fax machine. Contract World – This company recruits people to work for companies like Pizza Hut, KFC and the Shopping Network among others. Pay is anywhere from $11- $16 hour and is sent via direct deposit twice a month. They have clients in the US, Canada, and UK but most of their clients are in Canada. Requirements: You must have a dedicated phone line, computer with high-speed internet and a webcam. There are several fees needed to work for this company. If you want additional information about them to leave me a comment below. Chegg – Learn more– This company pays tutors $20 per hourly. Top earners make $1,000 or more monthly. This is a flexible, work at home position that lets you work around on your own terms. Enterprise Rent-a-Car – This is a car rental company that hires Customer Service Representatives and Reservation Agents to work from home. Reservation Agents start off at $11.10 per hour and Customer Service Representatives start at $12 per hour. They also offer a lot of benefits apart from the agreed pay. As far as requirements go, you will need a dedicated phone line, computer with high-speed internet, and USB with a microphone. iSoftStone –iSoftStone hires home-based workers for web search evaluation (very similar to Leapforce and LionBridge). This is an independent contractor position which allows you to be flexible with your schedule but you would need to commit to 10 hours per week. As far as requirements go, you must be at least 18 years old and own a PC with high speed internet. The pay is $12 per hour paid via PayPal once a month. Check Indeed.com for iSoftStone job openings. VIPKid – More details – Part-Time Mentors, Teachers, and Tutors needed. You can set your own schedule and earn up to $2000 monthly. Must have a bachelor's degree in any topic. Great Virtual Works – This company recruits independent contractors for customer service and inbound sales. The pay rate for this position is around $15 per hour. It is a very flexible phone job where you are able to pick the hours you work but they have to be a minimum of 15 hours a week with 5 hours worked on Monday. You will need to complete their certification class which is free. The certification hours are Mondays through Fridays 10 am- 1 pm for 20 days (4 weeks). Go here to apply for Great Virtual Works. Hilton Hotel – Hilton Hotel hires work at home Reservation Agents in Florida. The starting pay is around $11-$14 per hour plus incentives. This is a full-time position of 40 hours per week. When you visit the careers page, search the keywords “Work at Home”. Leapforce – Leapforce hires independent contractors to evaluate search engines. You will need to pass a two-part evaluation exam to be considered for a position. Positions are open to those who live in the US, Canada, Norway, Belgium, Denmark, and Brazil. Pay is around $13-$15 an hour. LionBridge – Lionbridge is a nationwide company that offers several at home jobs. All positions are independent contractor positions. As far as requirements go, you must be good at browsing the internet, flexible to work at least 20 hours per week and pass their exam. The pay has been reported to be around $13 per hour. Live Ops – More details – Virtual call center that contracts independent Insurance Agents to work from home. Agents usually make around $13-$15 per hour, while top performers can average around $22-$30 per hour. Paragon Planners – Appointment scheduling work from home jobs for US residents only. I have read that the starting pay rate is $12 per hour and you may increase to $14 hourly as you gain experience. Reasoning Minds – Reasoning Minds offers online tutoring jobs you can do from home. Pay is normally $11 per hour and $15 per hour in the fall season. You will need to commit to at least 10 hours per week, and those hours must be within school hours, which are from 8 am to 4 pm. Apart from broadband internet, there are other technical requirements specified on their site that you will need before working for them. Time Etc – Virtual Assistant work in the US & UK. The pay is between $11 and $16 per hour, based on your experience. Uhaul –Read review– Uhaul hires work from home e-storage reps and pays them $11 per hour. Storage Specialists receive incoming calls from customers inquiring about the different types of storage that they offer. You will answer general storage/rental inquiries, accept tenant payments and make reservations for storage rooms. To be hired for this part-time position, you must meet the technical requirements specified on their site. Workforce Logiq – This company hires people to conduct search evaluation/ads quality rating only in the United States. Pay is $15 per hour. Amphion Medical – This company hires medical coders to work from home. All workers are required to have a minimum of one year experience with certification. You can earn around $25 per hour. Worlwide101 – If a work from home job as a Virtual Assistant sounds good to you, Worldwide101 is a great option. Virtual Assistants earn up to $20/hr. You must be willing to work a minimum of 25 hours. Vericant – This company has occasional openings for Remote Raters to evaluate how well Chinese students speak English. 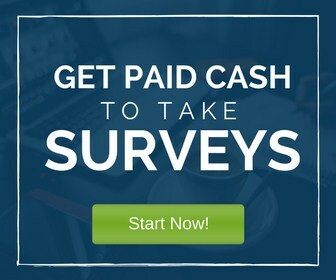 You can earn anywhere from $15-$24 per hour. If you are enjoying this content, please follow my Facebook page and YouTube channel. I post tons of work at home opportunities, job leads, and video tutorials weekly. I am in Tanzania and most of the opportuniuty are for US & Canada. How can you help me? hi lashay, on ABC financial I was going to apply, you listed the state I live in as hiring, but on their website it’s not listed, could you double check on that please, thanks. Hi, Vanessa! Yes, I will check Which state do you live in? Hi again, sorry, I forgot to say which state, I live in Washington state. Hi again Lashay, I did go to that site with the link you provided and I wanted to say on a couple of the companies, Ver-a-fast and Nexrep are not hiring in WA, they are on the list for this state but on their company website, WA is listed as a state they are not hiring from, maybe there was a mix up on my part , but could double check on that please and let me know, thanks. Hi lashay, I was just wondering if you were able to read my comment, I haven’t received an answer and was just wondering if you had a chance to reply, thanks. Hey Vanessa! Yes, I received your message. Ok, they must have changed the locations. I can definitely provide more info for the other companies. Which one did you have questions about? thanks but if there is any other please refer me. Hi Lashay, i have one question for you. I am from Serbia, and i am interested to work online from home, but i cant find companies that will hire workers from Serbia. Can you help me?. Hello Lashay. After reviewing your blog, can you please advise if these are open to Jamaicans? Ok Great! I recommend checking out these companies for call center work from home – https://www.dreamhomebasedwork.com/work-at-home-phone-jobs-2/. Hope this is a start! Can someone PLEASE help me find a legit work at home pt job? I am very desperate! Hi Kay! Yes, of course. What type of work are you looking for? Hi, can you tell me more about Contract World? I am interested. Yes. Here’s a review of Contract World https://realwaystoearnmoneyonline.com/home-based-call-center-jobs-through-contract-world/. Hope this article provides the answers you are looking for. Hi Lashay,you do a great job !Keep it up! thank you so much for your feedback earlier , i really think its valuable,can you recommend any online companies that you trust that are accessible to me in Kenya? I would really appreciate your feedback..
hi lashay. Do you have any suggestions for work at home jobs that pay really well and that have flexible working hours that employ people from Kenya? Hi Muthoni! I would suggest several options like transcription, writing, blogging, and freelancing. With time these jobs can pay very well if you are patient and consistent. Nexusop.com is a good work from home job with flexible hours and you get paid every week! Thank you Lashay for compiling all this information for us! I wish you all the best and God bless. Can you point out all the UK based work? I found this article via Pintrest but I’m UK based and I having a hard time finding UK based work home information. Thanks in advance. Hi Christine! There are a few UK based company I would recommend such TIme Etc. and EModeration. 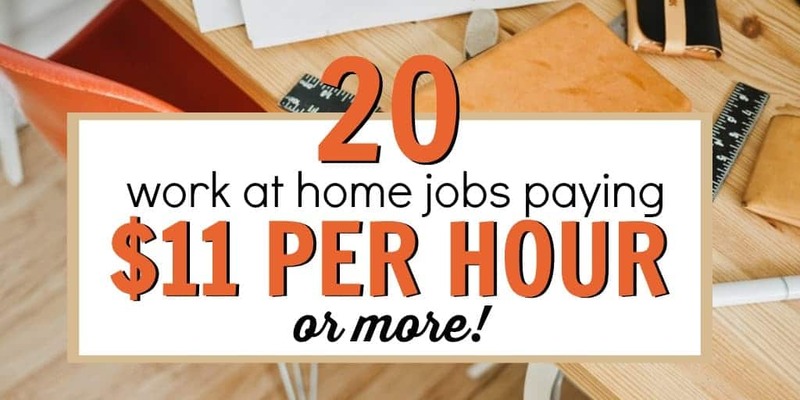 You will also find more international work at home options here https://www.dreamhomebasedwork.com/international-work-at-home-jobs/. Hope this helps! I just came across this article on Pinterest. I would like more information about Contract World. Thanks! Thank you for this information, but the LionBridge information was confusing. The fourth sentence into the description says you can work “up to 20 hours per week” (suggesting that you can work maybe 10 or 15 hours a week). But the very last sentence of the description says you must work “at least 20 hours per week” (suggesting that less than a 20-hour workweek is unacceptable). At any rate, t’s great to see more work at home opportunities these days. Hi Jacqueline! Thanks for pointing that out. I have updated the information. Looking at the description today for LionBridge, it is still the same as a day ago. The conflicting information that one will work “at least 20 hours per week” or perhaps “up to 20 hours per week” remains. But I guess anyone really interested can just contact LionBridge to inquire. All is well. Please tell me which company hires gloabally.. I am located in Philippines. Can you please specify which of those are in need of people from any other country. Hi Nadie! I would recommend checking out this post for international work at home opportunities https://www.dreamhomebasedwork.com/international-work-at-home-jobs/. Hope this helps! Please tell me which company hires globally.. I am located in Philippines..
Hello everyone I’m interested in working from home.I’m looking for paid training with flexible hours…. Hello I am looking for a paid training class that you can able to work as many hrs as you want. Hi Traci! Let my understand, are you looking for a job with paid training and flexible hours? Abc Financial currently start pay is $10.50/hr and $13 hr for bi-lingual. Just got hired. Hours Mon-Fri 9am-10pm EST. They schedule mandatory overtime as well but never on weekends. Congrats Bonnie! I wish you all the best! Hi, Lashay, Can I do any home based job from Malaysia ? If possible, which kinds of the work, and how is it possible ? pls help me, not a fake ?